Missouri’s geography is highly varied. The northern part of the state lies in dissected till plains and the southern portion lies in the Ozark Mountains, with the Missouri River dividing the regions. This also means there are a variety of different bugs from silverfish, ants, and various types of spiders. Mantis Pest solutions offers a variety of pest control services from bed bug removal to getting rid of ants and other rodents. We don’t just want to exterminate your pest problem, so they come back next year, but strategically offer around our services around pest extermination, and prevention. 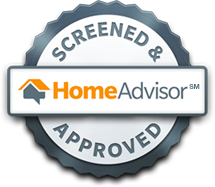 Don’t just trust our 30+ years of experience see what our customers have said about us on Homeadvisor.